We said it on our Olympus E-P1 review and the same applies here: the Panasonic Lumix DMC-GF1 is the camera many enthusiasts have been waiting for. It packs a DSLR-sized sensor into a relatively compact body, with the added bonuses of interchangeable lenses and HD video. The advantage of using a DSLR-sized sensor is much lower noise, higher dynamic range and a potentially shallower depth-of-field than a typical compact can offer – and in use the GF1, like the E-P1 before it, delivers all of these benefits. The Lumix GF1 and E-P1 achieve this goal by adopting the Micro Four Thirds standard developed by Olympus and Panasonic. This takes the sensor size of the existing Four Thirds DSLR standard, but dispenses with the traditional SLR mirror and optical viewfinder to allow a much shorter lens to sensor distance. This in turn enables smaller and lighter cameras to be built, while the mount allows different lenses to be fitted. That’s the theory anyway, and we’re pleased to say the Lumix GF1 delivers the goods in most, if not all, respects. First the image quality: the GF1, like the E-P1 before it, delivers much lower noise than a typical compact, although not quite in the same league as the best APS-C models like Nikon’s D5000 and D90. In our High ISO Noise results page you’ll see the GF1 holds it together very well between 100 and 400 ISO and still looks fairly respectable at 800 ISO. At 1600 and 3200 ISO, the GF1 unsurprisingly becomes quite noisy, but at 400 ISO or above, it’s noticeably better than a typical compact, or even those designed with low light performance in mind like Canon’s G11 and S90. So while a good DSLR with an APS-C sensor will still outperform the GF1, the fact it’s so much better than a traditional compact will be all some buyers need to know. That’s not to say the image quality is the same as the Olympus E-P1 though. Interestingly both cameras take quite different approaches to image processing with the E-P1 delivering much punchier JPEGs using its default settings than the GF1 – indeed side-by-side, the GF1’s images can look a little soft. But this is mostly down to processing, and a boost in sharpening and contrast, either in-camera or on your computer later, can bring the GF1’s images much closer to those from the E-P1, if indeed that’s your goal. The GF1’s HD video looks pretty good with detailed images, control over depth-of-field and the benefit of two encoding formats to choose from. The Motion JPEG mode offers greater compatibility with editing programs, not to mention more responsive scrubbing thanks to its milder and simpler compression, but the 2GB file limit restricts HD clips to around eight minutes, like the E-P1. The GF1’s trump card over the E-P1 though is its alternative AVCHD Lite mode which can keep recording until you run out of memory, or a second shy of half an hour for European models. The tax regulations of Europe can be frustrating in this regard, but half an hour is still better than the seven or eight minutes offered by the GF1 and E-P1 in their Motion JPEG modes, and remember the E-P1 doesn’t offer an alternative option. In terms of general handling, the GF1 also takes a lead over the E-P1 in a number of respects. The autofocus is noticeably quicker, and benefits from a broader and denser 23-area system, not to mention superior face detection. We used each camera side-by-side and while the E-P1’s focusing isn’t as slow as many have made it out to be, the GF1 snaps-onto its subjects comfortably faster, which can make a world of difference when photographing people and especially kids. The screens are the same size, but Panasonic’s equipped the GF1 with a much more detailed 460k panel compared to the somewhat pedestrian 230k model on the E-P1. This won’t make a scrap of difference to the final image quality, but the images sure look nicer on the GF1’s screen during both composition and playback. One caveat though: in very bright light, the GF1’s screen suffered from more reflections than the comparatively matt finish of the E-P1’s, so if you regularly shoot in such conditions, the Olympus may be preferred. Another advantage the GF1 has over the E-P1 is a built-in flash. It may be fairly small, but it’s still invaluable for providing a fill-in without carrying an additional accessory. Sure the E-P1 has a matching flash which is very compact, but when you’re designing a camera where size is everything, you really don’t want to force owners to carry any additional accessories. So with faster autofocus, a built-in flash, more detailed screen and longer recording times, the Lumix GF1 appears to be winning the battle, but the E-P1 has one very important feature which for some people could trump the lot: built-in stabilisation which works with any lens you attach. This is a huge advantage for the Olympus, especially when considering prime lenses. Panasonic’s own G VARIO 20mm f1.7 is a wonderful lens and when fitted on either body it’s hard not to fall for it. Trouble is, it doesn’t have optical stabilisation, which means when fitted on the GF1, you have no protection against camera-shake other than ensuring you’re using a sufficiently quick shutter speed. 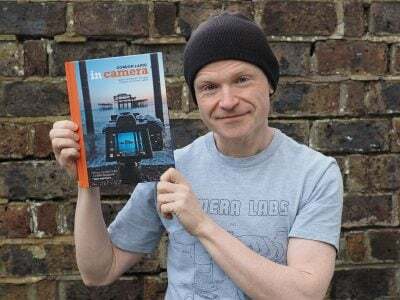 Now of course until recently photographers operated quite happily without stabilisation, and the 20mm’s fast aperture will certainly maximise your chances even in low light, but it is a problem when you’re filming video handheld. All of our non-tripod footage with the GF1 and 20mm suffered from visible shake which simply would have been ironed-out with a stabilised solution. Sure, you could fit the GF1 with one of Panasonic’s optically-stabilised zooms, but these transform it into a much larger and ultimately less compelling proposition. It’s also worth noting the Olympus kit zoom offers a collapsing mechanism which shrinks it to just 44mm in length for transportation, compared to the 60mm of the Panasonic kit zoom in its shortest configuration. This makes quite a difference when carrying them around, and there’s certainly a reason why Panasonic almost exclusively promotes the GF1 mounted with the 20mm pancake prime – it simply looks much better in proportion with the body than the kit zoom. Stabilisation, or lack of it when fitted with what’s arguably the most compelling lens for the GF1, is the camera’s biggest downside, and a reason for many to opt for the E-P1 instead. And if the lack of electronic viewfinder on the E-P1 is a deal-breaker, there’s always the upcoming E-P2 which offers a far superior model to that for the GF1, along with an accessory which allows you to connect an external microphone. Which brings us to our comparisons with rival models. The closest rival to the Lumix GF1 is of course the Olympus E-P1. Both are compact cameras based on the Micro Four Thirds standard and share much in common. They’re essentially the same size, they both sport 12 Megapixel sensors, 3fps continuous shooting, 3in screens with optional viewfinders, flash hotshoes, 720p HD video recording capabilities, HDMI ports, and as Micro Four Thirds cameras, they can also use the same lenses. At first glance then, you could be mistaken for thinking the choice boils down to preferences in styling and any difference in pricing, but look a little deeper and significant differences emerge. In its favour, the Lumix GF1 has a screen with double the resolution (460k pixels vs 230k), it features a popup flash (unforgivably missing on the E-P1), faster auto-focusing, has a more sophisticated auto mode and the choice of Motion JPEG or AVCHD for movie encoding, the latter allowing you to record until you run out of memory (or reach 29:59 for European models). The GF1’s optional viewfinder is also electronic, as oppose to the E-P1’s optional model, which is optical and also fixed at one focal length. Some may still favour the E-P1’s optical solution and it’s certainly cheaper, but many will prefer the GF1 viewfinder’s ability to deliver 100% coverage with any lens along with showing the same graphics as the screen; it’ll also tilt vertically. Sounds like a slam-dunk for the Panasonic, but the Olympus E-P1 has some key advantages of its own, most notably built-in image stabilisation which works with any lens you attach. This is a major advantage for the E-P1 since the Panasonic relies on lenses with optical stabilisation, and already there’s several compelling options – including Panasonic’s own 7-14mm and 20mm pancake models – which aren’t stabilised. Pop them on the E-P1 though, and you’ll enjoy up to four stops of compensation. Not bad considering the camera is about the same size as the GF1 and only 39g heavier. The Olympus also has twin control dials, an electronic levelling gauge, boasts greater compatibility with legacy lenses, includes the company’s Art Filters for in-camera special effects, and has a screen which suffers from fewer reflections in bright light. In-camera JPEGs using the default settings were also preferred. A lot will also still boil down to which model you prefer the look of, with many enthusiasts falling for the retro styling of the E-P1 over the modern look of the GF1. And if you buy them in their respective zoom kits, the Olympus lens features a cunning design which allows it to fold down to just 44mm thick, compared to 60mm for the standard Panasonic 14-45mm in its shortest position. It’s a tough choice, but for some it’ll simply be a case of weighing-up the built-in stabilisation of the E-P1 versus a more detailed screen, popup flash, faster AF and longer recording times of the GF1. But since we’ve waited so long for a decent compact with a big sensor, it’s great we now have the ‘problem’ of two compelling models to choose from. Check out our Olympus E-P1 review for more details. Olympus announced the E-P2 in November 2009 which addresses some of the criticisms levelled at the original E-P1. Sadly there’s still no flash and the autofocus performance is the same as before. The big new feature is an accessory port which like that on the Lumix GF1, allows the E-P2 to use a brand new electronic viewfinder, supplied in the standard kits. The new VF-2 viewfinder is a world-apart from the one for the GF1 though, boasting much higher resolution of 1,400k dots compared to 202k pixels of the Panasonic. Ironically this matches the resolution of the Live View finders on Panasonic’s own Lumix G1 and GH1 models. Olympus also announced an alternative EMA-1 accessory which plugs into the same port and allows the E-P2 to employ and external microphone for much better sound quality in its movie mode. To date Panasonic has not announced any external microphone connectivity for the GF1, and since these accessory ports are proprietary, you won’t be able to use the E-P2’s extras on the Panasonic. Wouldn’t it have been nice if the Micro Four Thirds standard had included an port, so all models could share the same accessories? As it stands though, these accessories give the E-P2 an advantage over the GF1. Finally, the E-P2 also includes AF tracking similar to that of the GF1, two new Art filters, an improved Auto Picture Modes, CEC support for its HDMI port (allowing control with a compatible TV remote), and is available in a black finish which may be preferred by some photographers. See our new Olympus EP-2 review for more details. When considering the GF1, it’s also important to compare a traditional enthusiast’s compact, and this season the model to beat is Canon’s PowerShot G11. Both cameras feature flash hotshoes, RAW files and HDMI ports. Interestingly the GF1’s body-alone actually comes-up slightly smaller and lighter, but of course the crucial difference here is the G11 comes with a built-in lens. Fit the GF1 with anything other than a fixed pancake prime and it becomes considerably larger. So in its favour, the G11 packs a 5x optical zoom lens (with stabilisation, 1cm macro and a brighter focal ratio than the GF1 kit zoom) into a body that’s only a little bigger than the GF1 body alone. The screen is a tad smaller at 2.8in, but it’s fully-articulated, allowing you to easily compose at any angle. It also has a built-in flash and an optical viewfinder. Crucially the G11 also comes-in around 40% cheaper. In its favour, the GF1 obviously has a much bigger sensor, and while Canon has sensibly reduced the resolution on the G11, it still can’t compete with the GF1 at higher sensitivities. The GF1 may be bigger and heavier when fitted with anything other than a pancake prime lens, but at least you can fit different optics where as the Canon is stuck with its 5x zoom. Annoyingly the G11’s video remains standard definition, so HD movies is another advantage of the GF1 over this model. The decision between the two models of course boils down to whether you want or need the big sensor and interchangeable lens capabilities of the GF1, and crucially if you’re willing to pay for them. 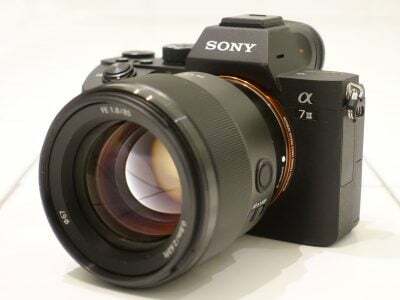 But if you’re happy with the G11’s zoom range, tend to shoot at lower ISOs and won’t miss HD video, then the PowerShot G11 is a very compelling option, and one that’s cheaper and more portable than either Micro Four Thirds model. See our Canon PowerShot G11 review for more details. The GF1 (and E-P1) were beaten to the goal of squeezing a DSLR sensor into a compact body by Sigma and its original DP1, now joined by the newer DP2. We commend Sigma for kicking-off the process, but found the DP1 suffered from too many compromises to broadly recommend, although some will still accept its shortcomings for the Foveon sensor in a small package. See our Sigma DP1 review for details. And for those with bags of money, there’s always Leica’s X1 and M9. When Olympus and Panasonic developed Micro Four Thirds, it was cameras like the E-P1 and GF1 which really had enthusiasts excited: the dream of squeezing a DSLR sensor and interchangeable lenses into as small a form factor as possible. And in this respect, the GF1, like the E-P1 before it, delivers the goods: much better performance than a traditional compact at high sensitivities, along with higher dynamic range and the potential for much shallower depth-of-field effects. In short, it’s a world apart from what you’ll achieve with a typical compact – and that in itself will be recommendation enough for many enthusiasts. Again like the E-P1 you’ll be paying for the privilege of a big sensor in a small package, and both Micro Four Thirds models can’t hide from the fact you could buy a fairly decent DSLR for the same money. But again if you want this level of performance in a compact form factor, you’ll have to pay for it. If you’re happy to pay the price, it essentially becomes a two-horse race between the GF1 and its arch rival the Olympus E-P1. (We’re not including Sigma’s brave but ultimately disappointing DP1 and DP2 here). As described above, both models have much in common including similar dimensions, but it really boils down comparing which style you prefer and weighing-up the built-in stabilisation of the Olympus against the more detailed screen, faster AF, built-in flash and longer video recording times of the Panasonic. If only Olympus had fitted a flash and a better screen; if only Panasonic had built-in anti-shake or at least included optical stabilisation on the 20mm. But at the same time it seems churlish to complain when after such a long wait we now have the ‘problem’ of not one but two compelling compacts with large sensors to choose from, along with an updated version coming from Olympus in early 2010. One of the most interesting things about choosing between the GF1 and E-P1 though is how two cameras which are essentially very similar at their hearts can evoke such different reactions. 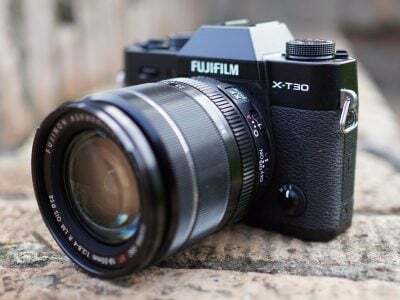 Photographic enthusiasts and reviewers can’t help but love the concept behind both, but almost everyone will much prefer one model over the other. Maybe it’s the features, more likely it’s the look, but by now anyone interested in a Micro Four Thirds compact will have their favourite. Personally speaking, the snappier AF, more detailed screen, built-in flash and longer recording times of the GF1 ultimately out-weighed the built-in stabilisation of the E-P1, although we really missed having anti-shake on the 20mm when filming video. And you will want the Panasonic 20mm lens too, regardless of which body you end up going for. It’s small, light and bright and allows either body to realise its true potential as a portable quality camera. Shooting with the GF1 and 20mm took us back to the Seventies and Eighties when we used manual 35mm SLRs with nothing more than a 50mm lens. Back then we didn’t miss a zoom, and it’s amazing how liberating it can still be today when you’ve become used-to adjusting your focal length. The 40mm equivalent coverage is actually very flexible and the bright focal ratio a revelation when again you’ve been used to just having f3.5-5.6 at your disposal. Of course anyone could buy a fast 50mm lens for a DSLR, but the combination will be much larger and heavier than the GF1 or E-P1 with the 20mm, and unless you have a full-frame body, you’ll also have the field-reduction to take into account. So our review of the fourth Micro Four Thirds body is another glowing one, and in many respects the GF1 is the best model yet. It’s a lot less physically compelling when fitted with the 14-45mm zoom, but mount the 20mm and you’ll have one of the most satisfying combinations we’ve used for a long time – and one which easily comes Highly Recommended. Of course, fit this lens on the E-P1 instead and you’ll enjoy the benefit of stabilisation too – but as we said a moment ago, regardless of how many times we cover the pros and cons, you’ll already have your favourite body and are unlikely to be swayed. The bottom line is Panasonic and Olympus have developed a great standard which is now realising its full potential with truly compact bodies and lenses. We look forward to seeing how the system develops – along with how rival manufacturers respond. Compact body with DSLR-sized sensor. Detailed 3in / 460k screen and optional EVF. HD movies with choice of encoding formats. Great Auto mode and full Manual controls. No stabilisation in body or 20mm kit lens. Viewfinder is a pricey accessory. Screen suffers from reflections in bright light. Focusing restrictions with many lenses.